Stop the spread of nuclear and other weapons of mass destruction; Reduce the heavy reliance on violent means of conflict resolution;Prevent the buildup of societal tensions that lead to terrorism and social conflict;Research and promote the use of evidence-based, nonviolent approaches to preventing conflict, promoting national security, and achieving global peace. 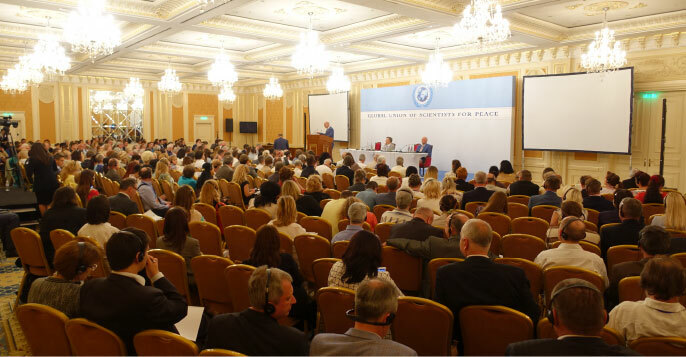 The assembly was addressed on the first day by Dr John Hagelin, General Krutov, Dr Norman Rosenthal, Dr Fred Travis, Dr David Orme-Johnson, Dr Igor Prodan, Colonel Dr Brain Reese, Dr Sandy Nidich, Dr Nikola Diduk, Colonel Gunther Chasse and Raja Chancellor. Excerpt from a talk by Maharishi on July 23, 1972 at Queen’s University in Kingston, Ontario. Maharishi comments on music and the creative process following a piano performance by Ron Altbach. When Maharishi refers to Being, he is speaking of pure consciousness, the source of thought, which we experience during meditation at the quietest level of our mind. Maharishi: Music is the flow of consciousness, the expression of the flow of life. It is the expression of the flow of consciousness of the musician, of the composer. And when that comes parallel with the flow of evolutionary process of the individual, the individual gets in tune with that. This happens on the very subtle level of feeling, when the feeling is tender, when the feeling is matured, free from resistances. When the icebergs are missing in the lake, then the lake flows even with the slightest wind, and then the waves are set up. When she was a child, Sharon Isbin wanted to become a rocket scientist like her father. Instead, she has reached stratospheric heights as one of the world’s greatest classical guitarists. She credits her years of Transcendental Meditation practice – she started at the age of 17, and has been going ever since – with maintaining her teaching, recording and touring work and keeping her life balanced. 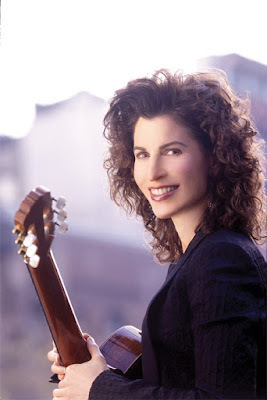 Sharon Isbin on benefits of meditationIn her amazingly productive career, Isbin has performed at the White House and Carnegie Hall and played with rock guitarists such as Steve Vai, Steve Morse and Nancy Wilson. She also founded the guitar department at the Juilliard School of Music. At age 58, Isbin sometimes plays as many as 20 concerts a month. What skills does it take to become an opera star? Enormous discipline, acting ability, emotional stability, concentration, focus, and constant study of Italian, German, French, and Russian languages, to name a few. Not to mention a highly trained singing voice that can span three octaves and project over a 90-piece orchestra, reaching the back of a hall of 4,000 people without the use of a microphone. Brenda Boozer spent fourteen seasons as a soloist at the Metropolitan Opera in New York and has performed with the world’s most prestigious opera companies, including the Paris Opera, Covent Garden in London, Lyric Opera of Chicago, San Francisco Opera, Teatro Comunale in Florence, Frankfurt Opera House in Germany, and the Houston Grand Opera. 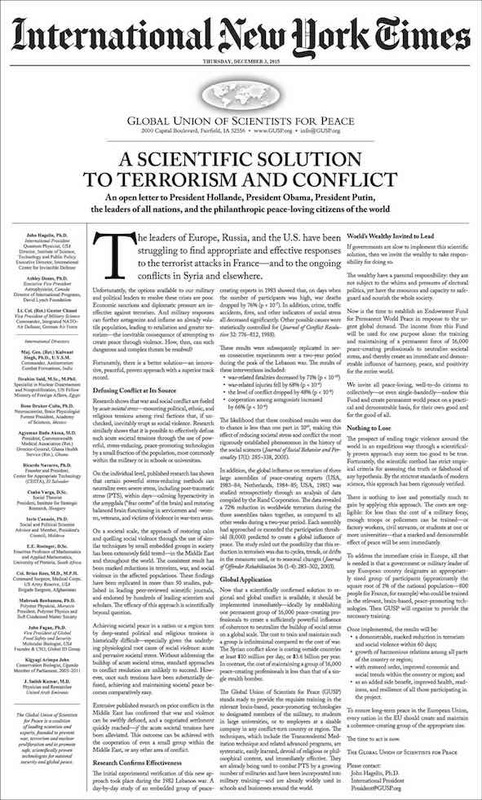 This advertisement has been placed in different formats and addressed to various governments and individuals over the years, and it's impact never diminishes. The recent spate of terrorism and conflict in Europe and the Middle East quite obviously has not been resolved through traditional means. This offer introduces and new paradigm with a scientific basis. Just as a light in a dark room transforms the whole room, so too by introducing this approach will this seemingly intractable problem of violence disappear.